Located in North Dakota just across the border from Minnesota, Fargo brings together the economies of two of America’s most vibrant states. The town is a center of everything form healthcare to trade to education to automotive supply manufacturing. This creates a diverse economic base, giving everyone living in and around the city access to the jobs and wealth they need to thrive. ExpeditedFreight.com is committed to bolstering this base. 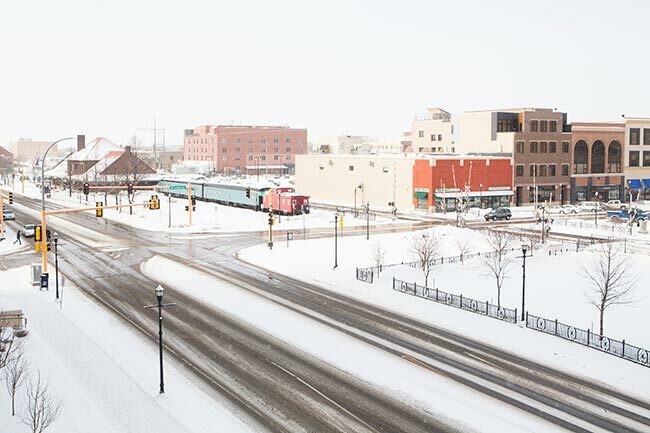 As an expedited delivery company with a long history in North Dakota, we supply businesses in and around Fargo, so the city has everything it needs to maintain its success. Although it is close to Minnesota, Fargo is nonetheless in a relatively isolated location, out of the way of the most common shipping routes. This makes it hard for the city to get essential supplies or deliver finished products, which puts serious limitations on its economy. Many of its most important industries depend on shipping. Local automotive parts manufacturers, for example, need to ship their wares to factories and mechanic shops across the country. If they can’t find fast and reliable shipping, there is no way for them to turn a profit. ExpeditedFreight.com offers the same high standard of shipping in Fargo that we provide to every other community, regardless of location. We ship directly into and out of this city, along with other towns in the area like Bismarck, Jamestown, Williston, and Grand Forks, North Dakota, as well as Fergus Falls, Minnesota. Sizable Shipping Network - We have coverage and vehicles in major metropolises all over the United States and Canada. This means that if we’re shipping into the Fargo area, we can load your goods and get them on the road in a matter of hours. Similarly, if we’re shipping out of Fargo, we’ll have personnel waiting at your destination to unload them as soon as they arrive. 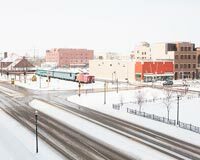 Prudent Planning - Whenever we ship something in or out of Fargo, we look at multiple alternative routes. We choose the one where our vehicles face the least risk of being derailed by weather, traffic, road issues, and other sources of delay and damage. This way, there will be nothing to slow us down or jeopardize your items. Driving Teams - Traveling to and from North Dakota from distant parts of the country requires spending long periods of time at the wheel. To make sure our drivers don’t get exhausted in the process, we send them in teams of two and require them to take turns driving. Each one thus has a chance to rest, but there’s no need to stop the vehicle overnight. Centralized Communication - We have a centralized team that guides our drivers around road closures, traffic, and other sources of delay that arise during deliveries. We also have a customer service team that can answer your questions or give you a free quote whenever you want. To learn more about express freight services in Fargo and other communities across the nation, contact ExpeditedFreight.com at (701) 212-1922.